I have got a bit of a thing for aviator sunglasses. In fact, I have lost track of how many pairs I own: different tints, different frame colours, nearly all mirrored and never going out of fashion. They were cool in Top Gun and they are cool now. 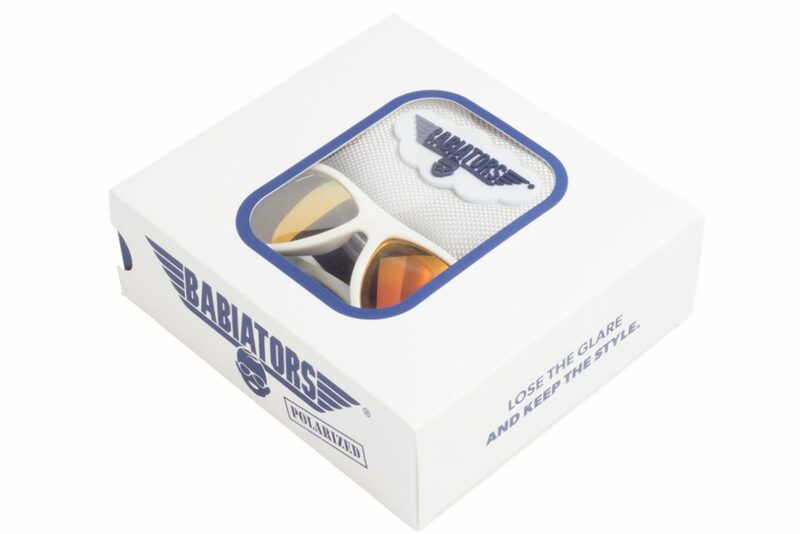 So, I was more than a little excited to discover that you can get aviator sunglasses for kids, rather nattily named Babiators. The idea for Babiators was spawned on the tarmac in a backdraft: Molly Fienning was stood with other pilots’ wives and saw all the kids squinting up to see the planes at a military base in Beaufort, South Carolina. All the grown-ups were comfortably shaded behind their aviator glasses (what else), while the kids were left to suffer. 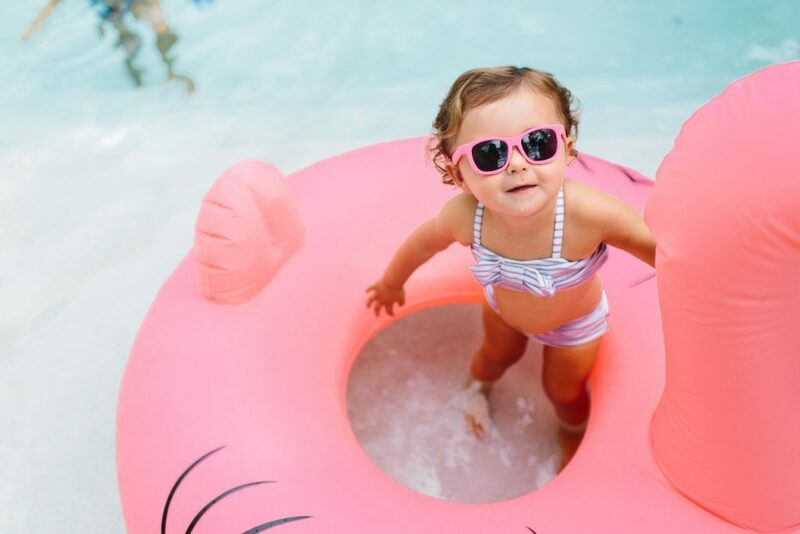 Molly’s fighter pilot husband Ted came up with the Babiators name and got fully behind the idea, so Molly teamed up with family friend Carolyn Guard and a business was born – since rated by Forbes as one of America’s most promising. 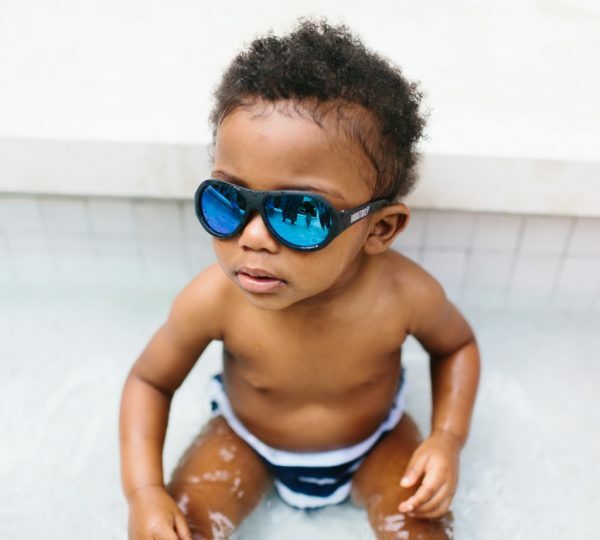 Babiators are super stylish and come in a variety of colours. They have impact and shatter-resistant lenses, comfortable rubber frames, 100% UVA and UVB protection, and are guaranteed against breakage and even loss for a whole year. Everyone applies suncream to their children, but those delicate eyes are often forgotten about. 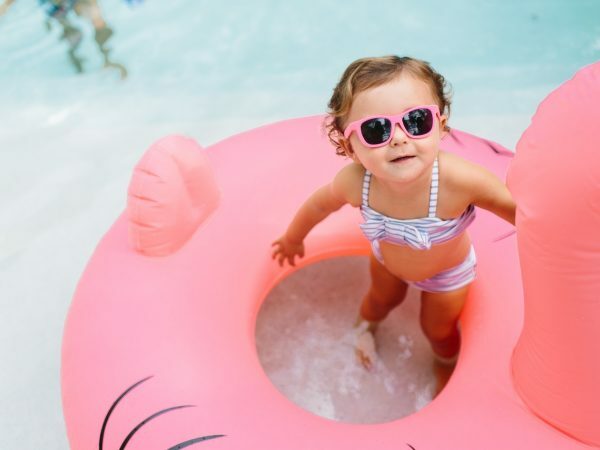 It really is important to protect young eyes: kids receive more than three times the annual UV exposure that adults do. Their eyes are super-susceptible to sun damage because they have larger pupils and clearer lenses. So why not protect their eyes and have them looking super-cool while you’re at it? Luther and I tested out the polarized Babiators which reduce glare with their stylish mirrored lenses, but there are loads of different colours to choose from, with both mirrored and standard lenses. There are pink, blue and orange lenses as well as more classic tints and there’s a huge variety of frames. The frames are very flexible and light, giving a comfy fit on a tiny face. They come in sizes Junior 0—2, Classic 3-5 and then Aces for 6 and up. 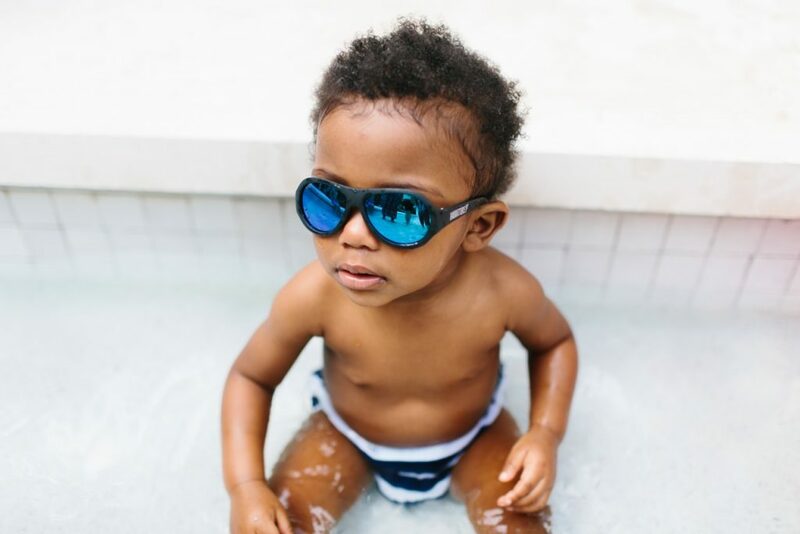 Babiators also produces swimming goggles and stylish backpacks for little dippers and adventurers alike. My little boy loves his new shades and even when indoors will have them rested on his head like a true dude. I look forward to the day when we can watch Top Gun together, but in the meantime he can be as cool as Maverick.